(Newser) – Barack Obama is focusing on the wrong Muppet. His campaign's new Big Bird attack ad may have garnered lots of attention, but "Big Bird is not the problem," writes Dana Milbank of the Washington Post. "The problem is Snuffleupagus." 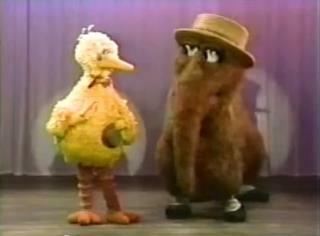 Snuffy, if you don't recall, was Big Bird's imaginary friend, and the problem with Mitt Romney's budget isn't what he's said he wants to cut—like subsidies to PBS—it's "the vastly larger amount of unseen cuts he has yet to identify." Isn't that Dana Milbank precious! Trust him to emit the all-American weenie's take on Romney's PBS-funding remarks. As 67 million people who watched the debate know, this whole subject is about programs funded by borrowing money from China, and then borrowing the INTEREST from China also, because we can't pay that either due to our current bankruptcy, as well as all the rest of the programs the U.S. funds by borrowing money from China. Pretending it has anything to do with "Big Bird" is simply running away and hiding from the above fact. Unfortunately for the Democratic campaign team, a LOT of people saw the debate -- a LOT -- so these viewers are going to know the difference between what Romney actually said, and the Big Bird lie the campaign flunkies are selling. Little kids shouldn't be watching any tv, anyway. See 2 articles down.